We all love playing our Nintendo Switch on the go. Whether you’re on the train ride home or you’re feeling the gaming urge on your lunch break, nothing feels better than whipping out the machine for a quick game of Fortnite or Mario Kart 8 Deluxe. The Switch’s battery life, however, can sometimes get in the way especially when your game is a bit more demanding. And while you can always carry around the console’s power block unit in your bag, it can be a bit bulky and relies on having a power outlet nearby for charging. 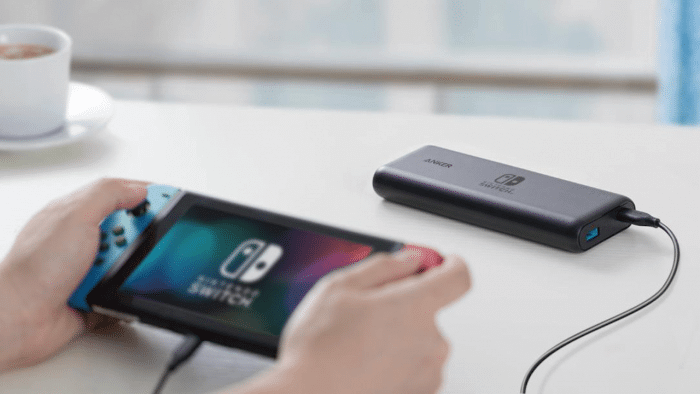 Thankfully, your prayers have been answered by Anker who is ready to drop two new Nintendo-certified Switch portable chargers. These are the real deal for Switch owners constantly on the go. While it’s possible to charge the console with any battery pack (the Switch charges via standard USB-C), Anker’s new portable chargers, the PowerCore 13400 and PowerCore 20100, are specifically designed for the hybrid machine’s specs. The result is the only Nintendo-certified portable chargers for the machine currently on market, and — in case you needed reassurance — they come emblazoned with the familiar Switch logo too. The PowerCore 13400 will give gamers up to 10 extra hours (around 1.7 charges) of playtime on a single charge while the PowerCore 20100 provides an additional 15 hours (around 2.5 charges). According to their product pages, Anker claims that either battery pack can fully recharge the console unit in just 3.5 hours. Both portable chargers can be bought from Anker and GameStop. The PowerCore 13400 costs $69.99 while the more powerful PowerCore 20100 is going for $89.99. Anker is taking pre-orders on their website but GameStop has them for sale right now. 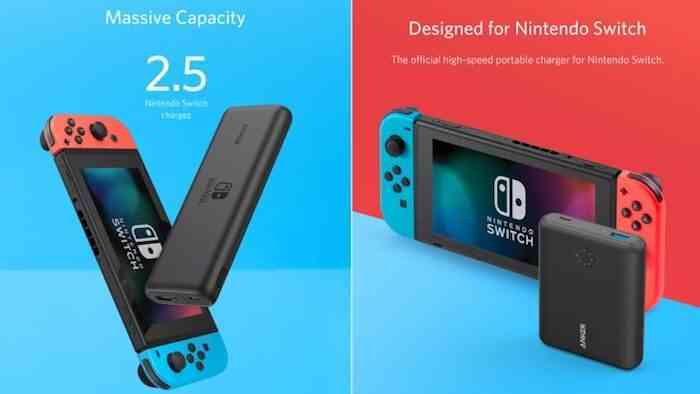 Are you interested in buying these portable chargers for your Switch? Share your thoughts by leaving a comment down below.